COOK! teaches kids basic cooking skills — and preps them for potential careers in the culinary arts. On the surface, Elazar Sontag seems like a typical sixteen-year-old kid — until you learn that he has his own food blog and moonlights weekly in the kitchens of two prominent East Bay restaurants. 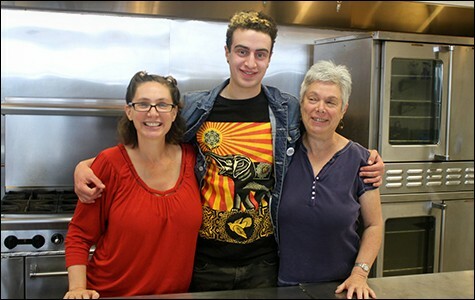 Sontag wants to open his own restaurant someday, and although he has been cooking since he was little, he credits his career aspirations to COOK!, a kids' cooking camp that Sontag has attended every summer since he was twelve. "Something just clicked, and I knew this is what I was going to do," he said. "[The camps give] you a tool kit: Here's what it's like to provide for other people." Launched in 2009, COOK! is the brainchild of Tracy Cates, who runs the commercial kitchen Paulding & Company (1410 D 62nd. St., Emeryville) along with her mother, Terry Paulding, a former restaurant cook. At the time, Paulding & Company offered several cooking classes for adults in addition to hosting cooking-themed corporate team-building events, which remain the mother-daughter business' main source of income. That year Cates started getting lots of phone calls from parents who wanted to know if she offered any classes for kids. She said she recalled thinking, "You know, I've always wanted to be a camp counselor. Maybe this is my big opportunity." Cates and a friend cobbled together a curriculum and taught most of the classes themselves that first year. Since then, the COOK! camps have evolved somewhat, but the basic setup has remained the same: The camp sessions are about a week long each and take place during the summer at Paulding & Company's 2,400-square-foot kitchen facility, where, as owner Terry Paulding likes to inform first-time visitors, the first season of Top Chef was shot. Each day is filled with hands-on cooking activities, even for the youngest participants — everyone learns how to handle a chef's knife, no matter how clumsy their parents think they are, Cates noted. And each day's lesson always ends with a shared meal, as the students enjoy the fruits of their labor, and, perhaps just as importantly, clean up afterward. Professional cooks teach most of the courses, and guests — including Duende's Paul Canales and Cates' husband Joe, who's a co-owner and butcher at Berkeley's Star Meats — occasionally pop in to do a demo. Children ages nine to eighteen are welcome to enroll regardless of skill level. But because this is the Bay Area, most of the students have a strong interest in food — and many of them already have fairly serious cooking chops. Cates recalled one former student who, at just eight years old, arrived at camp already having mastered mincing. Once they've completed a few of the beginning-level camp sessions (which, this year, vary in theme from the classic — Southern Italian Cuisine — to the somewhat esoteric, e.g. Chinese Vegetarian Cooking), serious young chefs can apply to take part in an intensive three-week Culinary Leadership Training program, which Sontag described simply as "the best three weeks of [his] life." 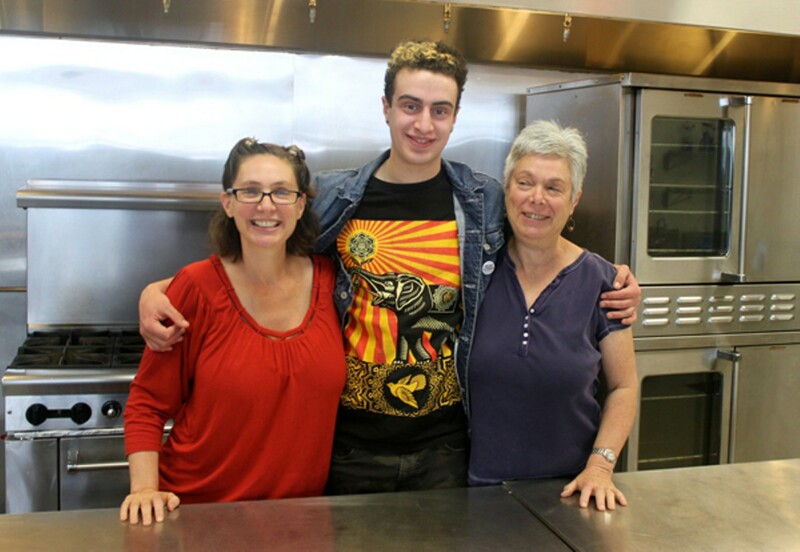 Many of the graduates of that program, including Sontag, often return to COOK! as teacher's assistants. Sontag has been able to parlay connections he made at camp into real-world job opportunities. For the past year, he has been doing "stages" (the restaurant world's version of an apprenticeship) at Duende and Pizzaiolo, two of Oakland's most well respected restaurants. Several times a week, he trades in his backpack for chef's whites and spends the better part of the evening chopping onions, washing dishes, and doing whatever else is asked of him. Sontag landed both gigs as a direct result of the recommendations of his teachers at COOK! Sontag's story isn't typical. After all, most kids join the camps for fun, not because they want to become professional chefs. But the students do learn humbler lessons related to work ethic and the confidence that comes with completing a difficult task. Every year, Cates said, there are a handful of kids who learn how to wash dishes for the first time, and, what's more, decide that they really like it. And, in learning how to cook a meal from scratch, the kids are picking up valuable life skills. If nothing else, as Paulding often tells campers on the first day of class, "Hey, you'll attract good dates." Perhaps the most intriguing camp session this year is a new "Family Dinner" class (June 28-August 1), which is geared toward teenagers. Every day, campers will spend the afternoon preparing a healthy meal, and then their families will be invited to join them at the Paulding & Company kitchen to eat it. Most of the classes are priced at $540 for a five-day session (which includes lunch and a snack every day), and there is financial aid available for families who qualify. This year, there's also a privately sponsored full scholarship for the three-week Culinary Leadership Training course. Any Emeryville student between the age of fourteen and eighteen is eligible to apply; the deadline is Friday, April 25.